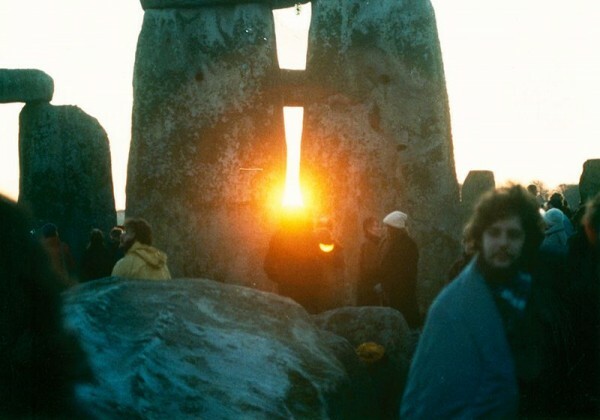 Stonehenge is carefully aligned on a sight-line that points to the winter solstice sunset, but, this year as in most recent years, the revelry began before sunrise. For some, it’s an annual ritual they wouldn’t miss. 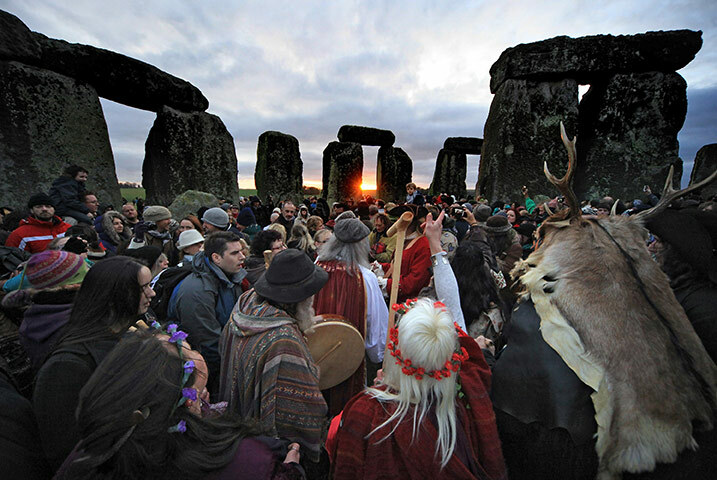 Each year, they travel to Stonehenge in England – perhaps the most famous of the ancient astronomical monuments around the world – to be present on the day of the northern winter solstice. The 2016 December solstice happens on Wednesday, December 21 at 10:44 UTC (translate to your time zone). 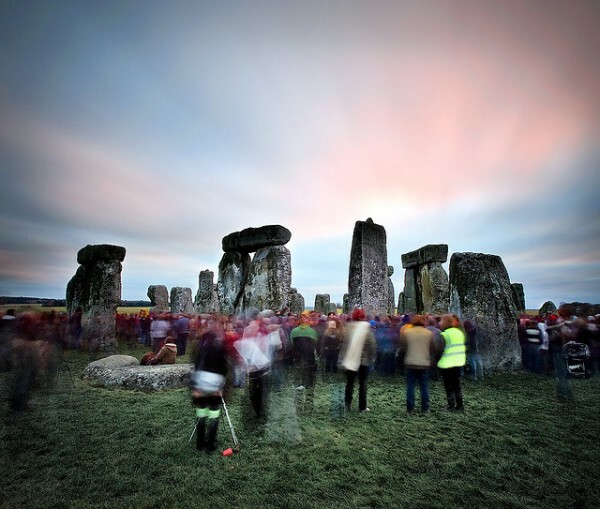 The timing is perfect for a solstice sunrise celebration at Stonehenge in 2016, and, as usual, the crowds turned out. Stonehenge is carefully aligned on a sight-line that points to the winter solstice sunset (opposed to New Grange, which points to the winter solstice sunrise, and the Goseck circle, which is aligned to both the sunset and sunrise). It is thought that the winter solstice was actually more important to the people who constructed Stonehenge than the summer solstice. The winter solstice was a time when most cattle were slaughtered (so they would not have to be fed during the winter) and the majority of wine and beer was finally fermented. If that doesn’t sound like a good time for a party, what does? In 2015, the sky was mostly overcast, but the sun did peep through. Image via trucknetuk.com. Solstice sunset at Stonehenge during the mid-1980s. Image via Wikimedia Commons. 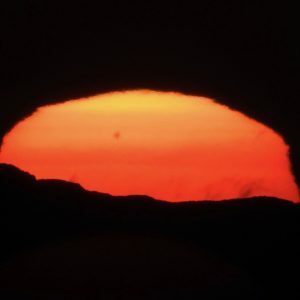 For the Northern Hemisphere, the December solstice marks the sun’s most southerly point on the celestial sphere, the imaginary sphere of stars surrounding Earth. 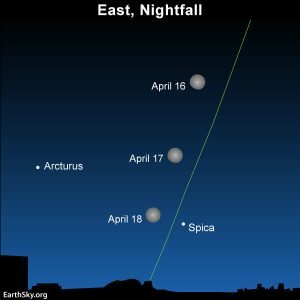 It’s the sun’s southernmost sunset and thus marks a turning of the year, from decreasing daylight to increasing daylight, for us at northerly latitudes. The Stonehenge monument – built in 3,000 to 2,000 BC – shows how carefully our ancestors watched the sun. Astronomical observations such as these surely controlled human activities such as the mating of animals, the sowing of crops and the metering of winter reserves between harvests. When Stonehenge was first opened to the public it was possible to walk among the stones and even climb on them. The stones were roped off in 1977 as a result of serious erosion. Visitors can also make special bookings to access the stones throughout the year. Solstice at Stonehenge panorama via Stonehenge News and Information. 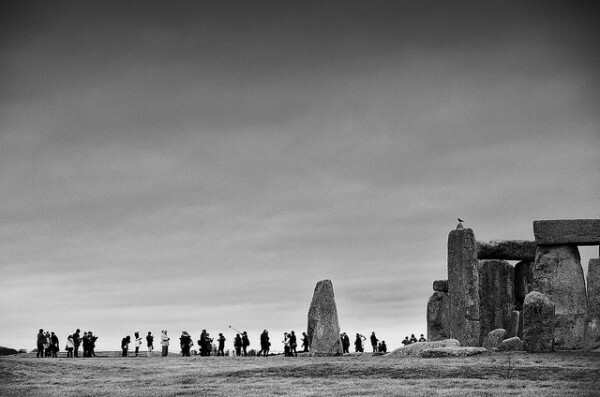 Bottom line: The Stonehenge monument in England is a popular winter (and summer) solstice sunrise gathering place. 2016’s December solstice occurs on Wednesday, December 21 at 10:44 UTC.